The food was delicious. I had the grilled salmon. Seated right away with a reservation. Was able to get free gelato for my birthday. Reasonably priced. Definitely recommend and plan on going back. Nous y allons régulièrement et souvent nous invitons des amis ou parents pour venir avec nous. Good food for the price. We were a party of 4 on a Sat eve and service was prompt, although the place was filled. Good food. Service OK by Jaime. The waitress was very rude about the wine that we brought she said that we only could havé 1 bottle per 4 persons, because people dont tips enough. 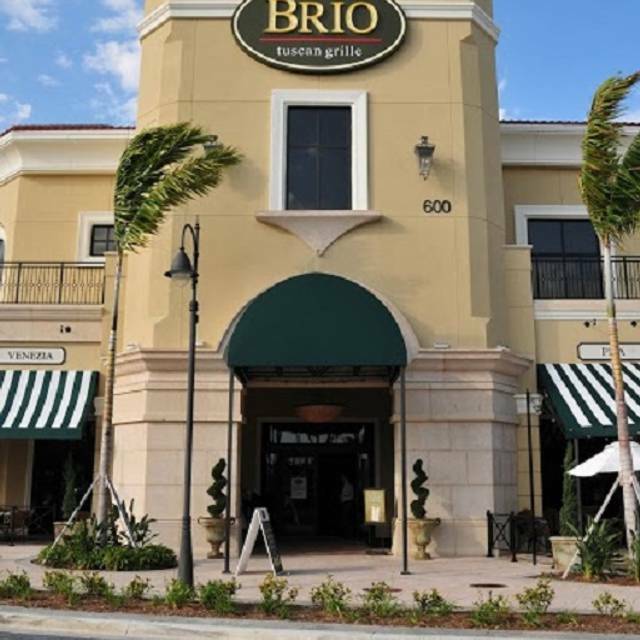 We are regular customers at Brio and we never exagerated as for the numbers of bottle that we bring. Normaly its 1 or 2 for 4 to 5 guest. We will return but I will ask not tombe serve by that lady. Also calamars was mixte whith a lot of jalapinos not plasent. 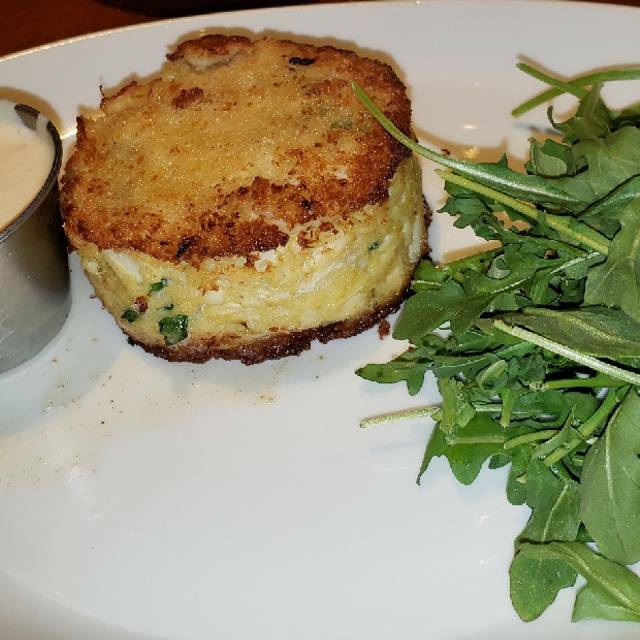 Altough the carpacio and the crabe cake was excellent. Food was great and Jerry, our host, was fantastic! Absolute worst plate of pasta I’ve had in my entire life. Cacio e pepe was just a bowl of dry over cooked spaghetti noodles - a few specs of pepper and one mini clump of cheese. I know this is a chain and shouldn’t be judged against high end Italian places but it wasn’t even a minimum of acceptable. Informed server, plate was snatched away with no apology. Was removed from the cheque without asking so that was a plus. Wedge was pretty good. The service was slow, our waiter tried but he made a lot of mistakes with our order. It may have been a combination of both the waiter and kitchen. The food was over priced, it was okay, nothing to brag about. I may attempt to try another location one day, but I wasn’t to pleased with this location. Everything was perfect as always! The food was outstanding! I only came here because my uncle wanted to eat here. 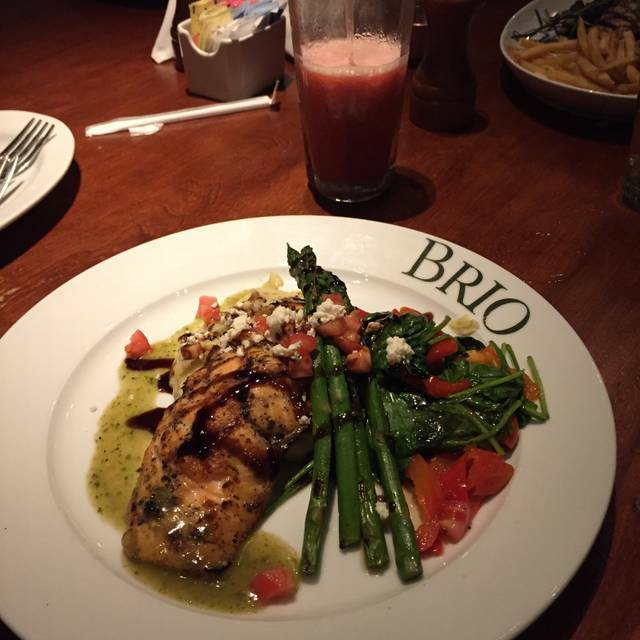 I have eaten at Brio at the Falls. The food is bland. I hope I don't get roped into this restaurant again. They have changed the menu and that is a step backwards. Have Removed the Bruchetta which is the main reason we go. Also no White Zinfandel wine. What’s up with that? Steak came late after everyone was finished eating and they still charged us for it after saying they wouldn’t. Valet removed a phone charger from our car so over all not a great night. The food took awhile but the service and food were great! Worth the wait. 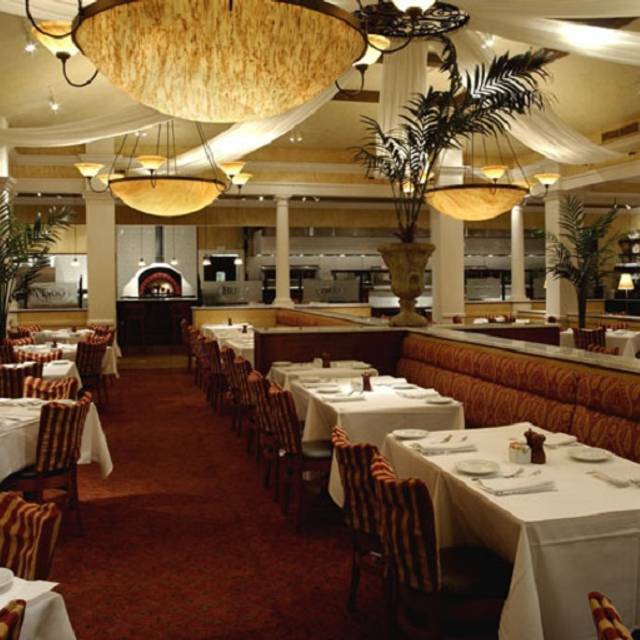 We always have a great dining experience at all Brio Tuscan Grille lacations. Service was fair, food was far from good. 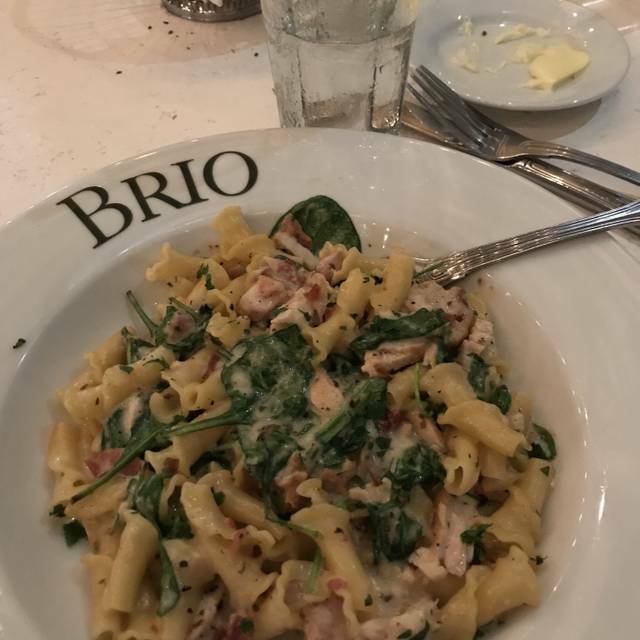 At least this Brio’s I do not recommend. 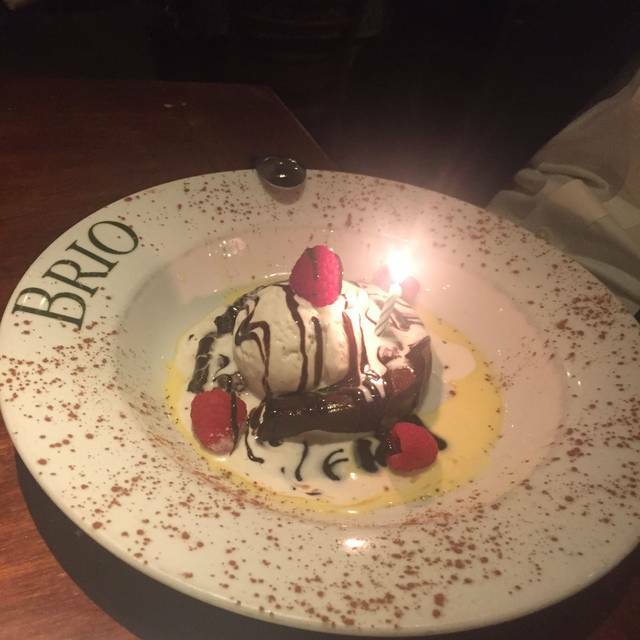 Our party of four had a wonderful evening at Brio this week. Creative cocktails and off-the-beaten-path entrees offered us a variety of options; the restaurant was crowded, but our server Michelle tended to us without hovering, and her sense of humor was terrific. We would definitely go back. We had to wait to be seated for 30 minutes. After that we had to wait 40 minutes for the appetizers. One appetizer was late for another 30 minutes, no plates for appetizers. The main entries were cold and had to be sent back. Service was excellent and all of us (4) appreciated the food. It is was not our first time and we will come back. My husband and I went for lunch. Our food was good, but I had to send back my spaghetti bolognese because it was dry. 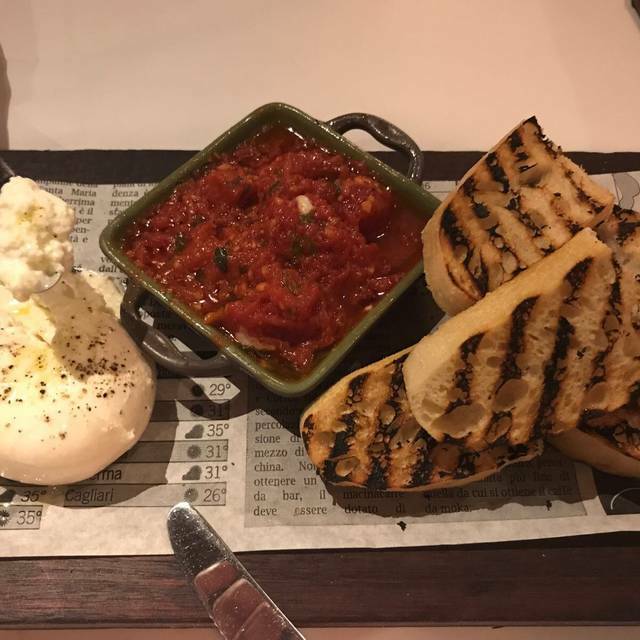 The chef was very nice and wanted to remake the dish for me, but I decided to just get a flatbread. Our waiter, Fabian, was very nice and efficient. We really love the ambiance and will definitely return. Been here several times in the past and food is always pretty good. Highly recommend. Neighborhood gem. Nous avons aimé l'ambiance , la nourriture et aussi le service. Food was great. Waitress was excellent! We were désappointed because we expected to eat outside. Too bad We canot make any reservation for outside. We don’t like to eat inside because it is too cold and the music is too loud. Food is always so fresh and delicious! My favorite restaurant. Les pâtes étaient collantes et ça manquait un peu de sauce!! Le service impeccable!! Et on peu apporter notre vin san frais!! We had a very nice evening food was excellent, ambiance also will return. We were there last fall and service was inacceptable but last visit was prefect except for the fact that we have made à réservation and no table available on terrace. We also waited for small plates when we got our bread then waited for more bread (we had gotten 1 small basket for 6 people. -not enough for everyone). Our food was good and well prepared. The wait for our deserts was a little long as well. The atmosphere is nice but it is loud. Everything was ok in general, however a little issue as we were 4 peoples and the waitress only wanted to one 1 bottle of wine at the time, this was a problem because one couple was having white and the other red. I also showed the waitress where the table next to us had 2 red bottles open at the same time for 4 peoples . I understand there may be regulations however same rule should apply to everyone.We are regular customers and going at least 1-2 times a week, so needless to say our friends were disappointed as they wanted white wine with their fish but had to settle for the opposite. We never had this issue before so looking for clarification, so we know what to expect next time. Food and atmosphere were good. Servers were hurried. Meal was not timed correctly as the entrees came out before we were even halfway thru our appetizers. Maybe Saturday night is just not the best night to go. We have been very satisfied.